Anika celebrated her 10th birthday a week early this year, doing what she’s been dreaming of for a year and a half now – a birthday party sleepover in a hotel. After weighing the pros vs. cons I proposed a deal with her. One nights stay in a hotel with her two best friends instead of a party and presents. Of course she said yes. We arrived at check in and the girls were in awe – a one bedroom suite with a jacuzzi tub. They staked their claim on the ‘spaces’ and quickly changed into their swimming suits for the pool. Later when tummy’s began rumbling we let the birthday girl make the difficult decision on where to eat dinner. 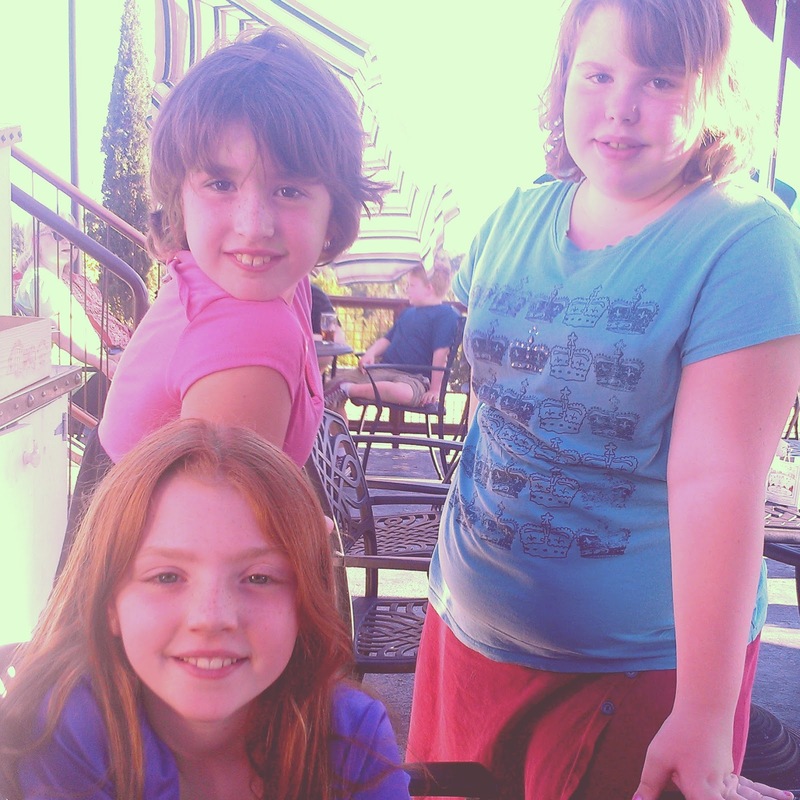 She chose the rooftop at Mcmenamins on down town third street, which was a ‘fancey’ restaurant to the girls. After their fill of strawberry lemonades, pizza and burgers, we walked across the street to Serendipity’s for double scooped ice cream cones. We eventually made it back to the hotel for round two of swimming, and then headed back up to the room around 9:30 to sing Happy Birthday and devour cupcakes. The girls then wanted the old lady (yes, me!) to leave them along, so they shut their doors for a girls night of Disney, nail polish, board games, and of course junk food. I didn’t really think they were going to pull an all-nighter though!! Approximately every 15-30 min. they came in to see if it was 6am yet so we could go down for breakfast. After essentially zero sleep I drug myself out of bed at 6:15 to take them down, and they loaded up their continental plates. One of them started tiring, and she crawled back upstairs and crashed on the floor for three hours! The other two did not. Before we packed up and headed for home I let them have one last dip in the pool. Anika and I made it back to the house around 11:30, and she instantly laid down and passed out until 2pm, then she walked into the living room, sat on the couch, and was out again until 6:30. She then ate a couple bites for dinner and went to bed at 8:30. 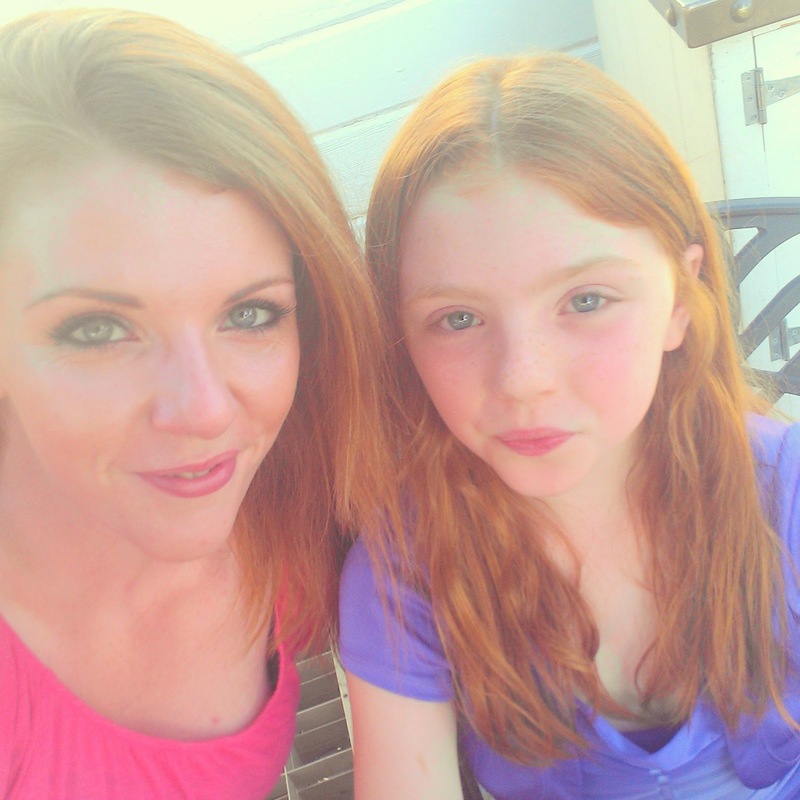 My go-go-go hyperactive little girl has never been so worn out in all of her 10 years! I’d have to say that might be the most epic sleepover to date. And lots of memories were made for little girls. Three years ago today I had my last baby. It’s hard to believe he’s going into preschool this fall. I can’t imagine my life without a little boy to make our family complete. 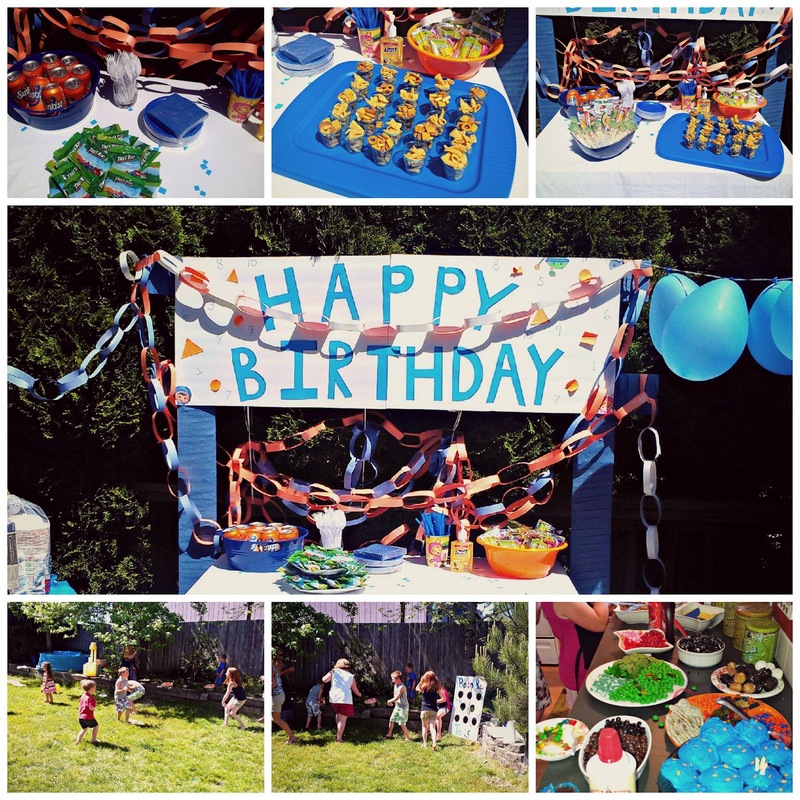 We had a blast at his party last Sunday, with 85 degree weather I made nearly 300 water balloons for the kids, and then somehow water guns and super soakers got brought out and everyone had a water war. 🙂 Noah was having so much fun he didn’t even want to do cupcakes, ice cream sundaes and presents! 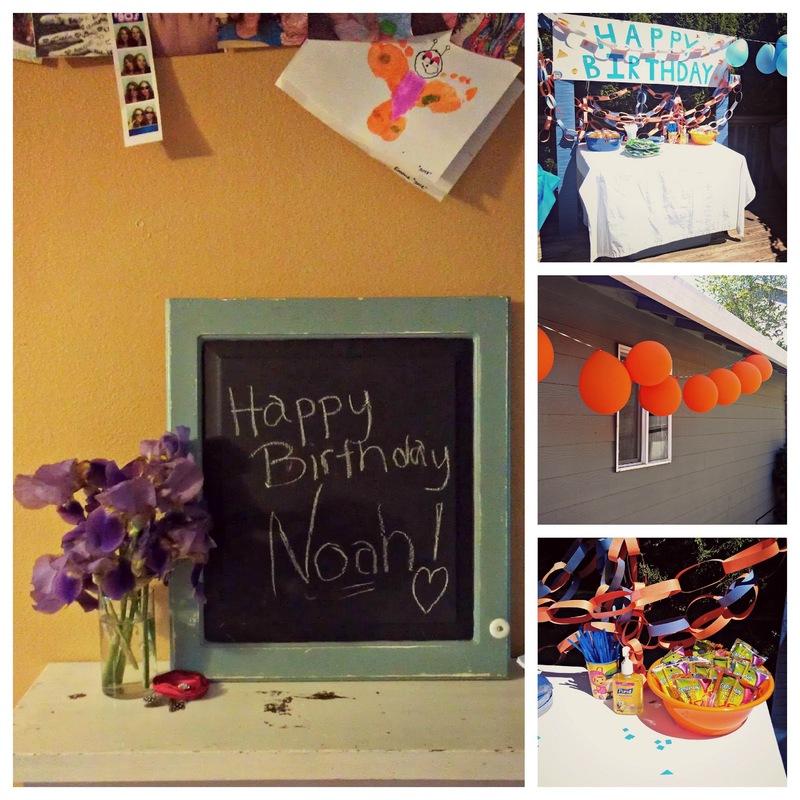 Noah wanted a Team Umizoomi party, all blue and orange, so that’s what I attempted to create. It seems like when you are the one preparing the party, not as many good pictures get taken. At least I got a few. Someday, someday, I’ll get a better camera. Until then, these will have to do. 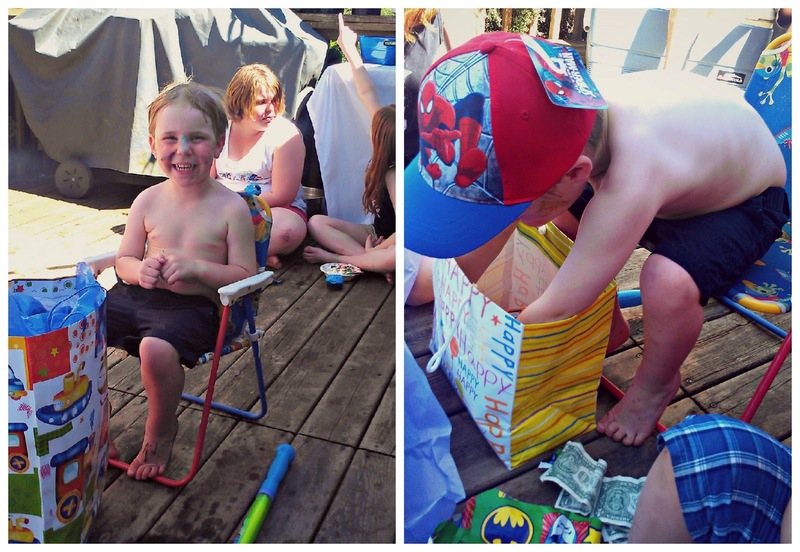 Right now I wanted to show you some highlights from Emma’s 5th Birthday Party last month. 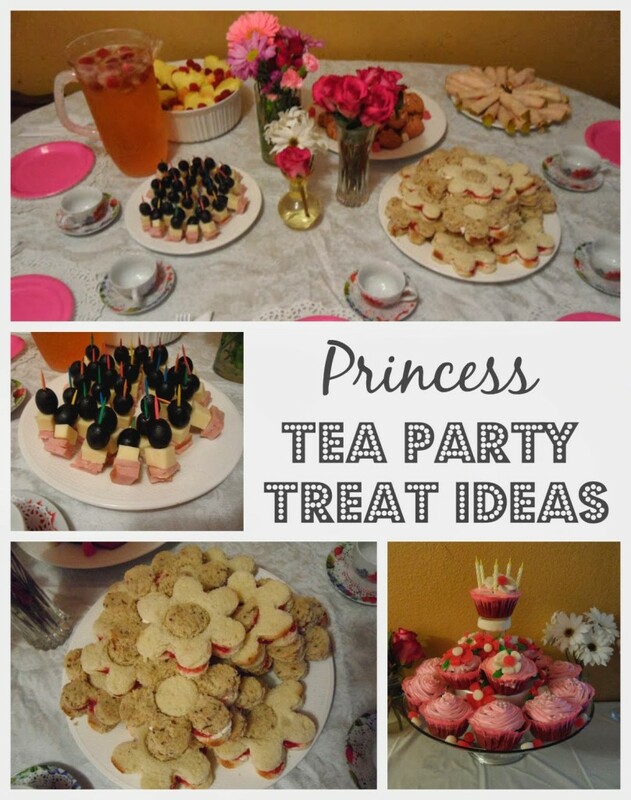 She had a Princess Tea Party theme, and we made some tea party snacks together and a few simple decorations that the girls absolutely loved. 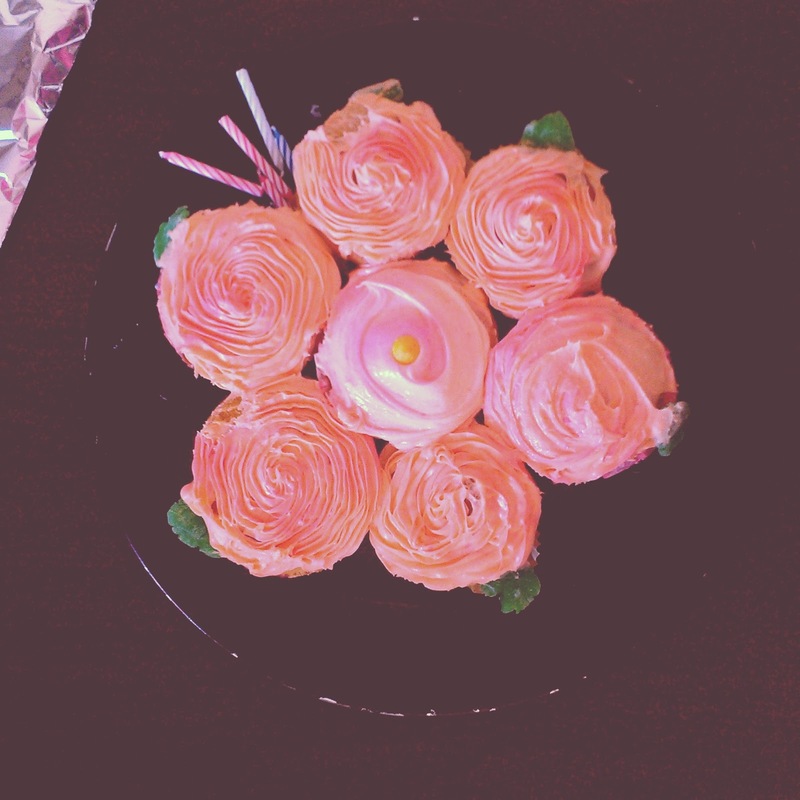 We created red velvet cupcakes, complete with pink frosting and pearls and flowers on top! The flowers were created by rolling out gum drops and gummy rings! The girls really loved helping make those.